Born in Budapest, Hungary, Monica Porter grew up mainly in New York before moving to London in 1970. Her father is the Hungarian journalist and writer Peter Halasz, and her mother was the popular chanteuse Vali Racz (www.valiracz.com). Although she initially trained to be an actress, Monica became a professional journalist in 1974, starting as staff writer on the weekly Local Government Chronicle. She turned freelance after the birth of her first son in 1978. 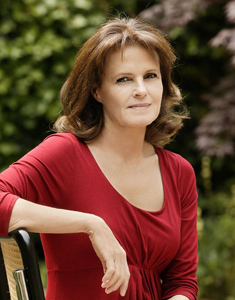 Monica writes for many leading British newspapers, including the Daily Mail, for which she has been writing the popular weekly column, Missing and Found, since 1999. Other papers to which she has contributed features include The Times, Sunday Times, Financial Times, Guardian, Daily Telegraph, Daily Express, Mail on Sunday, Evening Standard, Jewish Chronicle, The Stage and Press Gazette. She is a regular contributor to Saga Magazine, British Airways’ Business Life and Reader’s Digest, and her work has also appeared in women’s magazines such as Eve, Woman’s Journal, Woman’s Own, Good Housekeeping and Psychologies. In the Seventies Monica wrote and broadcast weekly programmes for Radio Free Europe’s Hungarian section. And in the Nineties she scripted ten 12-minute Personal View talks on a variety of themes for the BBC World Service, as well as several three-minute talks for the commercial station London News Radio.